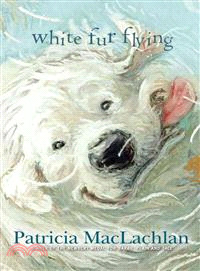 A young boy tries to find his voice with the help of some four-legged friends in this novel from the Newbery-winning author of Sarah, Plain and Tall.Zoe’s family rescues dogs in need. There is always the sweet smell of dog and a warm body looking to cuddle or play. There is always a new dog to be saved and loved. Fur flies everywhere. It covers everything. Zoe’s house is never silent.